Location: Cuzco, Peru. 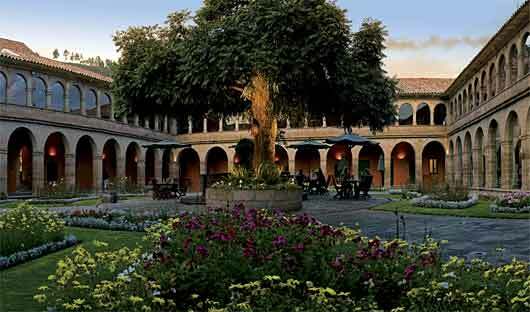 The Belmond Hotel Monasterio was originally a Jesuit monastery that was founded in 1592 on the site of an Inca palace. 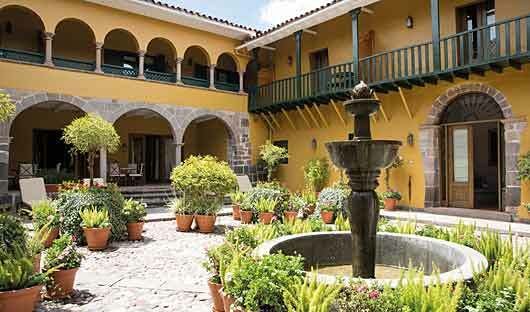 The renowned Monasterio was converted to a luxury hotel only a little over a decade ago and retains a beautiful chapel adorned with extraordinary gold ornaments. 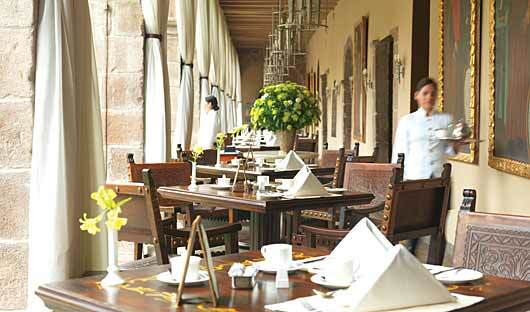 Because of the building’s origins, no two rooms are exactly alike and each varies in size, decoration and format. 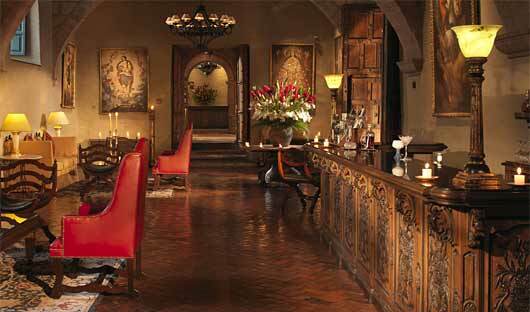 Overall, the Spanish colonial décor is one of darkly glowing, polished woods and furnishings that are a tasteful combination of colonial and modern styles. The large central courtyard is bordered by arched stone cloisters and dominated by a glorious 300 year-old cedar tree, surrounded by gardens. 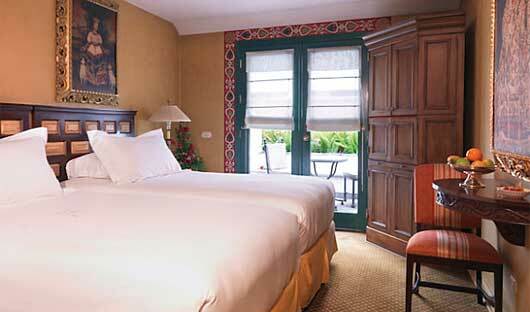 Superior Rooms feature Spanish colonial decor, king size or twin beds, and a luxurious marble bathroom. They have an LCD TV, iPod dock, nightly turndown and wifi. The Deluxe room offer king or twin bed configuration, a luxurious marble bathroom with shower, nightly turndown, LCD TV, iPod dock, wifi, air-conditioning is available upon request. 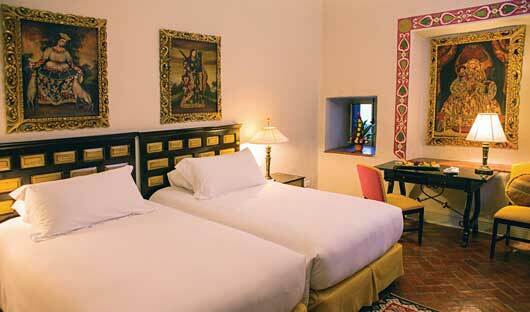 The rooms are enriched with oxygen and have antique furnishings and artwork. 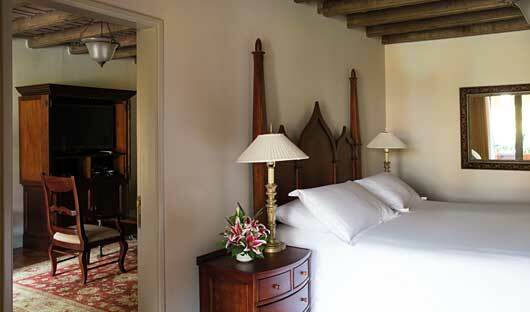 The Deluxe rooms have charming colonial interiors with additional space. 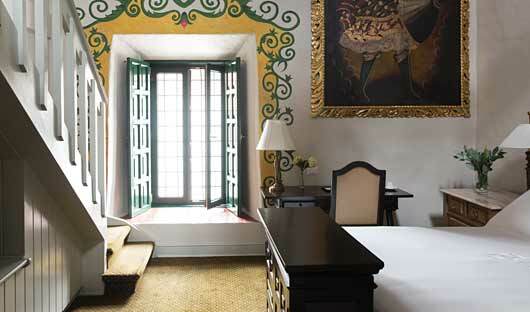 Junior Suites at Belmond Hotel Monesterio span two levels with an airy bedroom on the mezzanine and stairs leading down to a spacious living area. The elegant marble bathroom has a shower and some include a bath. The room can be oxygen enriched upon request. The Junior Suites have a king or two twin bed configuration, a writing desk, lounge room, air-conditioning and heating, wifi, LCD TV and DVD player, iPod dock and toiletries. The One Bedroom Suites are a tranquil hideaway with a spacious bedroom, separate living room, large marble bathroom, private terrace, patio or balcony. The One Bedroom Suites have a king size bed, air-conditioning and heating, LCD TV and DVD player, iPod dock, oxygen enrichment, wifi.